We have listened to many excuses by new customers for not taking advantage of training offered by the OEM. For example, the flights and hotel cost are too expensive or I can’t have one of my most valuable employees away from the shop for that long. Well, factory training can be scheduled so it won’t interrupt daily workflow, your employee obtains crucial knowledge and spends time with factory personnel that have operated the machine you just purchased. Just think, when he has a problem he now has a factory friend he can contact. That may save you down time and repair costs down the road. Take the training it’s a great investment. 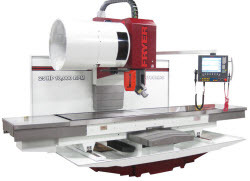 This entry was posted on Monday, August 29th, 2011 at 2:26 am	and is filed under CNC Machine Tools, Events, Grinders, Laser, Lathes, Mills, New Products, Plasma, Press Brakes, Pullmax, Punch Press, Router, Shears, Swiss Screw Machines, Water Jet Machines. You can follow any responses to this entry through the RSS 2.0 feed. You can skip to the end and leave a response. Pinging is currently not allowed.